Today, it is our pleasure to announce that the Tentative Agreement for 601/602 Bargaining Units has been ratified with overwhelming support. California Elections Company (C.E.C.) has sent over the certified election results. THE TENTATIVE AGREEMENT IS RATIFIED WITH 96.1% IN FAVOR OF RATIFICATION. We thank the membership for your voice. Next, the Tentative Agreement will be sent to the Los Angeles County Board of Supervisors for a ratification vote. We will keep you updated as the process continues. Thank you for your vote and your voice. As we transition into bargaining for our 603/604 Bargaining Units, we will be looking to aggressively fight for a rich contract. Stay tuned for updates as we begin that process with the County once more. As we ratify our own contract, we are reminded that we are stronger together. Strength in unity. 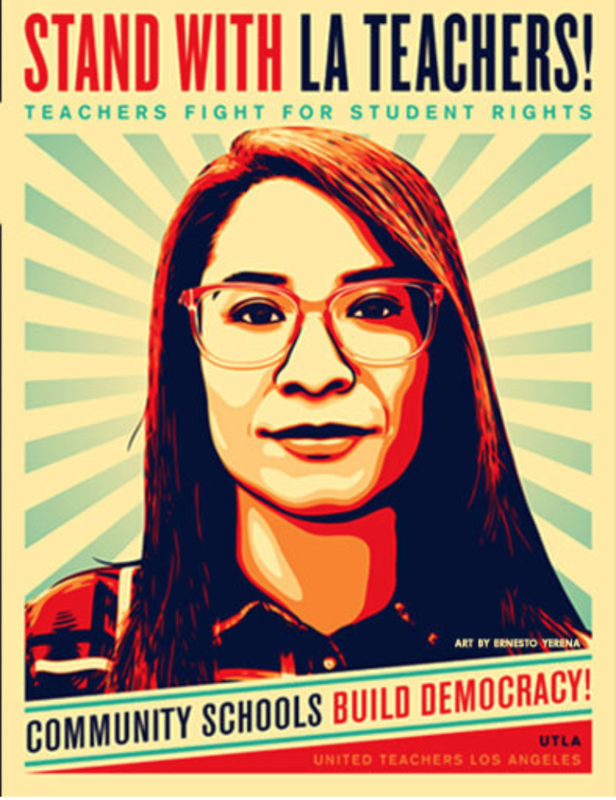 Local 1014 stands in strong support of our brothers and sisters at the United Teachers Los Angeles as they strike for a better environment for our children and for better working conditions in our schools. Please show your support in any way you can as they close out the first week of their strike. Wear red, walk the picket line, or donate food to those who are on the line. Click here to get updates and learn how you can help. 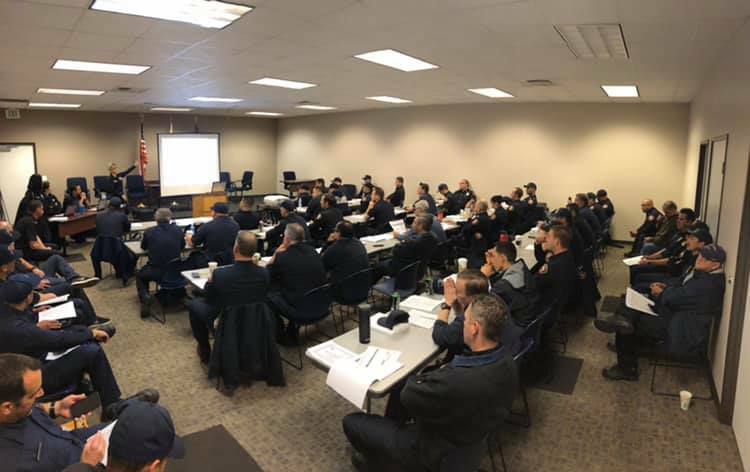 This week, Local 1014 hosted EMS training at the Union Hall. This is part of the ongoing efforts by Local 1014 to partner with the Department in order get our members the most innovative tools and training to serve our residents. This new training will move our department away from complaint base protocols towards primary impressions protocols for our EMS services. Training will begin in the East Operations Bureau, then be incorporated into the Central and North Operations Bureaus in the months of March and April until the whole department has been trained. This change will result in better patient outcomes for the 4 million residents we serve each day throughout LA County. Next week, our Executive Board, both new and incumbent members, will be attending the IAFF’s Vincent Bollon Affiliate Leadership Training Summit (ALTS) in Los Angeles. At this conference our Board members will be training on critically important issues including: collective bargaining, grievances, leadership, communications strategies, crisis communications, social media, behavioral health, political action and more. We would like to thank IAFF 10th District VP Frank Lima for setting up this programming for our members and members of the 10th District to participate in and learn.